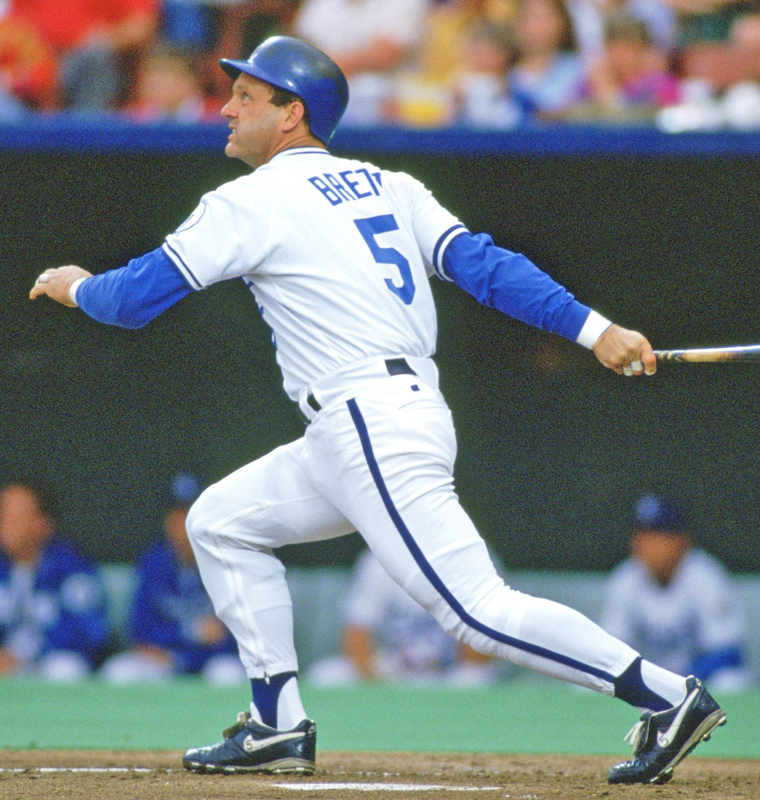 George Brett played 21 years in the show all with the Kansas City Royals. Brett amassed 3,154 career hits while hitting 317 Home runs and driving in 1,595. Along the way Brett picked up 13 All-Star nominations as well as an MVP award (1980), Gold Glove (1985), ALCS MVP award (1985), 3 A.L. Batting Titles (1976,80,90), and 3 Silver Slugger Awards (1980,85,88). Brett was a member of the 1985 World Series Champion Kansas City Royals and was elected to the Hall Of Fame in 1999 fittingly on the first ballot. Brett was all you could ask for in a player. He ran out infield singles, had some pop, and had great discipline at the plate. On top of that he played on the corners and had a great glove. 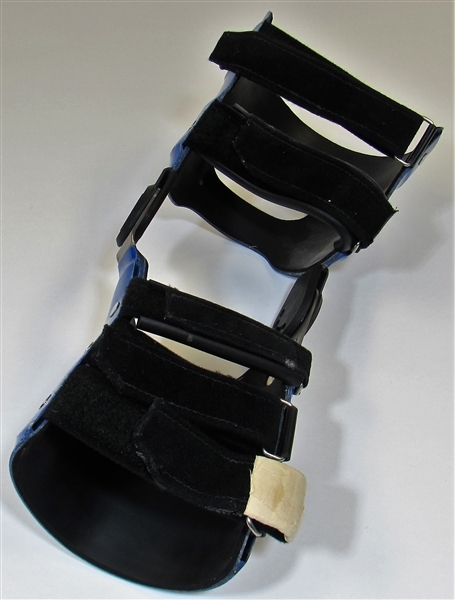 Brett wore this knee brace during the 1991-92 seasons. 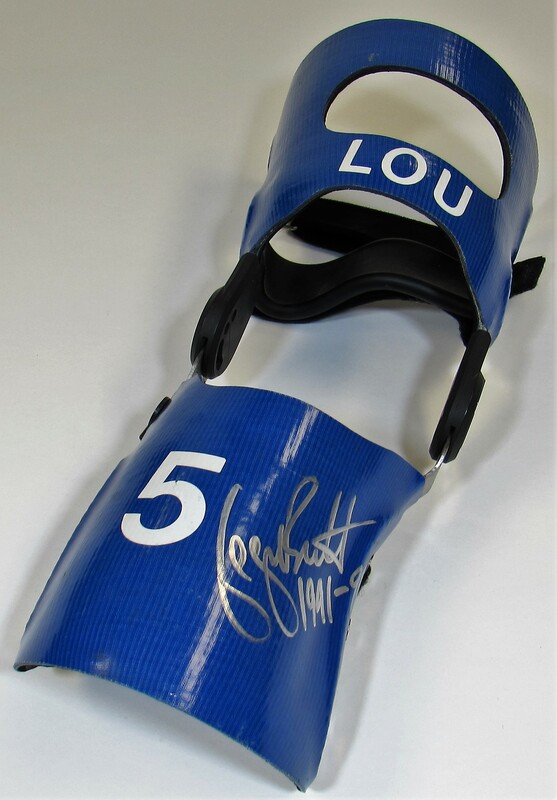 The brace bares his nickname "Lou" and has been signed by Brett with year inscriptions. 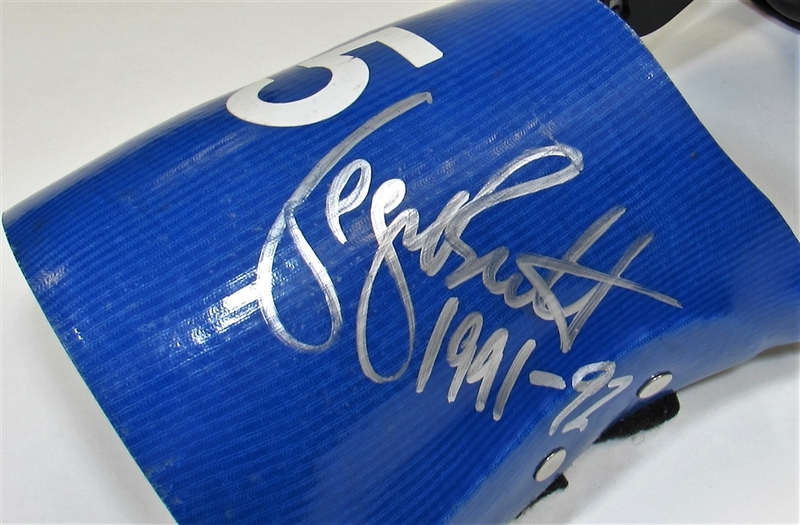 Very unique signed game used item from this popular Hall of Fame member!